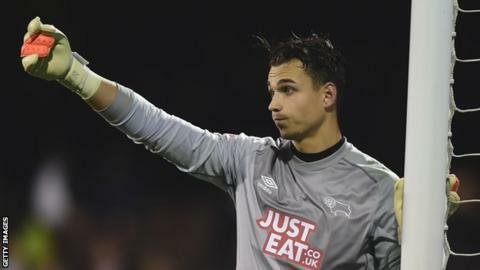 League Two side AFC Wimbledon have signed Derby goalkeeper Kelle Roos on loan until the end of the season. The 23-year-old Dutchman had a loan spell with Rotherham United earlier this season, making five appearances in all competitions. The former PSV Eindhoven trainee joined Derby in January 2014 following a short stint with non-league side Nuneaton. Roos has featured five times for the Rams but is yet to make his league debut for the Championship club. He becomes Wimbledon's second signing of the transfer window.